The country’s principal electric power transmission company, a Mini-Ratna, is entering the capital market on 09-11-10 with further public issue of shares. Further issue consists of fresh issue of 42,08,84,123 and offer for sale of 42,08,84,123 equity shares of Rs 10 each. The price band has not been decided. The issue closes on 12-11-10. SBI Capital Markets, Goldman Sachs (India), ICICI Securities, and J.P. Morgan are the BRLMs. The company came out with an IPO in Oct -2007 at a price of Rs 52/- As against this, the shares were listed at almost 100% premium in the exchanges. In the last 52 week the share has touched a high of Rs 121 and low of Rs 95/- and currently trading around Rs 100/-. The pricing would be attractive. Retail investors are eligible for 5% discount. The company has a decent dividend payment record. The company owns and operates more than 95% of India’s interstate and inter-regional electric power transmission system (ISTS). In that capacity, the company currently owns and operates 79,556 circuit kilometers of electrical transmission lines and 132 electrical substations. In Fiscal 2010, Power Grid transmitted approximately 363.72 billion units of electricity, representing approximately 47% of all the power generated in the country. In the six months ended September 30, 2010, the company transmitted approximately 202.59 billion units of electricity, representing approximately 51% of all the power generated in the country. The World Bank had ranked Power Grid as the world’s third largest transmission utility in January 2009. The object of the Offer for Sale is to carry out the disinvestment of 420,884,123 Equity Shares of ` 10 each by the government. The Company will not receive any of the proceeds from the Offer for Sale. (a) To meet the capital requirements for the implementation of certain identified transmission projects. Power Grid receives most of its revenue from the transmission of power to the State Power Utilities and many of these entities have had weak credit histories in the past. Six transmission projects for which the company intends to utilize the Net Proceeds have been delayed. The expansion plans require significant capital expenditure. If the company is unable to obtain the necessary funds, the growth plans could be adversely affected. Because of delay in revenues receipts, the company, resorts to borrowing. The new CERC regulations, which will come into force from January 1, 2011, will implement a ‘point of connection’ method for sharing the transmission charges for the inter-state transmission system in the country, replacing the present system. The new regulations provides for the yearly transmission charges, revenue requirement because of foreign exchange rate variation, changes in interest rates and losses will be shared amongst the users, including larger generating stations, state electricity boards, state transmission utilities, bulk consumers connected directly with the inter-state transmission system and any designated entity representing a physically connected entity listed above. This will have some impact on profitability. • Leadership position in Indian power transmission sector. • Effective project implementation track record. • Attractive tariffs, competitive business model. • Strong financial position and cash flow from operations. Currently, the shares are trading at18 PE. The company, on the post issue capital of Rs 4629.72cr, will be able to maintain an EPS around 5 in the coming years. The shares are currently trading around Rs 100/- There will be listing gains taking into consideration the discount offered to the retail investors. 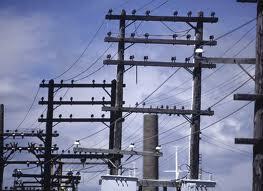 The company operates in power sector, which is a high growth segment. Invest for study and stable return. Bedmutha as on 28-10-10 has a trading history of 11 days. Out of which, the shares are locked at lower level for 6 consecutive days. This is, perhaps, a kind of a record in the listing history of the NSE. IPO LISTING - PRICE RIGGING CONTINUES. Aster Silicates, Tirupati Inks, Gallantt Ispat, Sea TV, Bedmutha, Gyscoal Alloys and B S transcomm are the IPOs which received poor retail response. However, their listing debut was phenomenal. The volumes were in crores. Immediately, after two or three days of listing, volumes disappears and there are no takers even at the lower levels. The classic example is Bedmutha. After surging almost 200% over its issue price, now there are no buyers at lower levels. The stock has hit the lower circuit for the fifth consecutive day. For B S Transcomm there were no investors at Rs 260/- but there were host of buyers at Rs 360-380/- Again the volumes are in crores. Price rigging take place in many 'avatars' - block deal /structured deal / circular trading. It is time for market regulators to introspect. Labels: IPO LISTING - PRICE RIGGING CONTINUES. IPO ANALYSIS: GRAVITA INDIA LIMITED: LESS GRAVITY, HIGH RISK - PROJECT STILL AT DRAWING LEVEL, HURRY FOR IPO. The Jaipur based manufacturer of lead alloy, lead oxides and lead products – GRAVITA INDIA LIMITED is entering the capital markets on 01-11-10, through an IPO. The company intends to issue 36, 00,000 equity shares of Rs10 each,in the price band of Rs 120-125. The issue closes on 03-11-10. Keynote Corporate Services are the BRLM. First generation entrepreneurs, Dr. M.P. Agarwal and Rajat Agrawal, are the promoters the company. Gravita India Limited, established in 1992, is the flagship company of the Gravita group. GIL manufactures lead alloy, lead oxides and lead products by recycling and smelting. The company is also into trading, which contributed nearly 45% of its revenue in FY 09. The Company’s finished products find application in the battery industry, apart from the glass, ceramic, pharmaceutical, paint and chemical industry. GIL has a subsidiary Gravita Exim Limited, a company specializing in providing turnkey solutions and consultancy services on engineering and design for the secondary lead companies. Gravita India Limited and Gravita Exim Limited together are able to provide a complete solution right from setting up plants to providing value added lead products in the lead metal market. The Group owns eight lead manufacturing units, out of which two are in Asia and five are in African continent. Apart from lead processing, the Gravita Group is engaged in merchant trade of lead scrap, lead ore, lead concentrates, lead battery scrap and lead products. Margin money for working capital requirement and for general corporate purposes. 1. The Company proposes to use the issue proceeds amounting to Rs.200 lacs for purchase of land from group Company, namely, Jalousies (India) Private Limited. There has been no independent land valuation done for this purpose. 2. GIL has not yet identified land for Maharashtra unit and the Company is in the process of exploring overseas location, for set up of new project. 3. The company has not placed orders for the machineries and other equipments proposed to be purchased. There could be cost and time over run. 4. In last three years the Company has under utilized the installed capacity for various products. 5. The average cost of acquisition of the equity Shares of face value Rs.10/- by the Promoters is Rs. 6.66. 6. Impact of currency fluctuation -having a global presence with import and export trade, the company business faces currency rate fluctuation volatility. Any change in the currency rates may have an impact on the financials of the Company. 7. International changes in price of Lead metal may affect the performance. In last one year, the commodity market has seen a wild swing of lead price movement in a range of $880 to $2447 per MT. 8. Lead industry is one of the health hazardous industries and is governed by strict environmental laws and regulations which may become more stringent in times ahead. 9. Lead industry in India is highly competitive in nature. 10. The company has no history of dividend payment. 11. Due to change in the EXIM Policy in the year 2002, the demand for Lead Oxides, primary product for the company, declined and the unit was out of production for a period of four years from 2001-02 to 2004-05. 12. For the financial years March 31, 2007, 2008 and 2010, the company had a negative cash flow from operations to the tune of Rs.51.77 lacs, Rs. 35.82 Lacs and Rs. 1,811.95 Lacs respectively. 13 The company had defaulted to Bank of Baroda in the past. In the year 2000 the company had to shut down operations for five years due to non-availability of working capital funds! The outstanding was repaid to bank in F.Y. 2005-06 as a onetime settlement of Rs.90.00 lacs. 14. The implementation of the project is at a very preliminary stage. Any delay in implementation of the same may increase the capital cost and affect returns from the project. 15. The exact location for the over seas projects are yet to be identified. There are no assured dividends from the investments envisaged in overseas ventures. The company imports 70% of its raw materials requirements. For any reason, if the rupee value depreciates, the company’s margin will be severely hit. At Rs 120 -125, the company is demanding a valuation of 13x, on FY10 earnings, on the post issue capital of Rs 13.62cr. This appears expensive considering the company’s past track record and the purpose for which the funds are being raised. There are no listed companies in this segment, for comparison. Since the issue size is small, there could be listing gains. Close on the heels of the tremendous success of Coal India IPO, one more IPO from the government. MOIL, formerly known as Manganese Ore (India) Limited, the largest producer of manganese ore by volume, in the country, is entering the capital markets in November. MOIL public offerings consists of 3, 36, 00,000 equity shares of Rs 10 each at a premium. Going by the pricing of CIL, this issue too, likely to be attractive. Edelweiss Capital J P Morgan and IDBI Capital markets are the BRLMs. MOIL is the largest producer of manganese ore, accounting for 50% of the total ore produced in the country. Manganese ore is primarily used to make ferro-alloys for steel production. Manganese is the fourth most used metal after iron, aluminum and copper. It improves the strength, toughness, hardness and workability of steel. The company has long operating history of mining manganese ore in the country for more than four decades. Over 90% of the world’s production of manganese is utilized in the desulphurization and strengthening of steel. MOIL’s production of manganese ore increased from 864,890 tonnes in Fiscal 2006 to 1,093,363 tonnes in Fiscal 2010.MOIL’s ore reserves have an average manganese content of 36.0% -40.0%. In addition, none of the MOIL mines produces low-grade manganese ore. The company has access to approximately 22.0 million tonnes of proved and probable reserves and 37.2 million tonnes of measured mineral resources of manganese ore. The company currently operates seven underground mines and three opencast mines. MOIL produced 700,776 tonnes of manganese ore from our underground mines and 392,587 tonnes of manganese ore from our opencast mines in Fiscal 2010. India, currently the fifth largest producer of crude steel in the world, is expected to become the second largest producer of crude steel in the world by 2015-2016. For the quarter ended June -10, the total income and profit after tax was Rs 373cr and Rs 182cr respectively. OBJECTS: Disinvestment by the government. 1. Largest producer of manganese ore in India with access to significant reserves. 2. Well positioned to capture the growth potential of the Indian steel industry. 3. Track record of growth and efficient operation. 4. Strategic location of the mines provides the competitive advantages. 5. Strong capabilities for exploration, mine planning and research development. Demand for manganese ore and ferro alloys has increased considerably due to the increase in the production of steel. According to the National Steel Policy, projected steel production is likely to double within a decade’s time. There is likely to be a huge demand gap between the availability and requirement of ferro alloys if the production of ferro alloys fails to match the growth in production of steel. Slower pace in the development of new mines as against the robust demand from the steel industry has already pushed India in becoming a net importer of manganese ore in the last 3 years. With the expectations of robust growth in the domestic steel production, CARE Research foresees, demand for manganese ore is likely to increase during the next few years. CARE Research foresees the domestic manganese ore demand to grow at a CAGR of about 9% during the next 2-3 years and reach levels of 4.1 million TPA by FY12. The rising requirement of ferro alloy products for the steel and other metal-producing industries are likely to be the prime reason for a growth in the domestic demand for manganese ore. Being the largest producer, MOIL is advantageously placed in the sector. The company has very high operational margins. The India growth story intact, the demand for manganese ore likely to increase in the years to come. There are no companies listed in this sector, which can be strictly compared to MOIL. However, NMDC and Sea Goa are the nearest ones. Going by the pricing of CIL, the issue is likely to be attractively priced, leaving some thing on the table for the retail investors. INVEST. LISTING NEWS : B S TRANSCOMM, GYSCOAL ALLOYS AND PRESTIGE ESTATES TO LIST THIS WEEK. COAL INDIA IPO FINAL TALLY 15.28 TIMES. Labels: COAL INDIA IPO FINAL TALLY 15.28 TIMES. COAL INDIA IPO FULLY SUBSCRIBED. The mega IPO was subscribed to the extent of 1.6 times till 4.00pm, today. The issue closes on 21-10-10. Labels: COAL INDIA IPO FULLY SUBSCRIBED. LISTING NEWS : OBEROI REALTY TO LIST ON 20 -10-10. Labels: LISTING NEWS : OBEROI REALTY TO LIST ON 20 -10-10. The biggest IPO in the history of corporate India, has received tremendous response on day one. The IPO has received subscription to the extent of 34% on the first day itself. Considering the size of the issue ( Rs 15,200cr) the response received is extraordinary. Pride of India, energy boost for every ones’ portfolio. The world’s largest coal producing company and the world’s largest coal reserve holder is entering the capital market. This is likely to be the largest IPO too. The government of India is divesting 10% stake as part of the on going disinvest programme. Coal India Limited (CIL) operates 471 mines in 21 major coalfields across eight states in India, including 163 open cast mines, 273 underground mines and 35 mixed mines (which include both open cast and underground mines). CIL produces non-coking coal and coking coal of various grades for diverse applications. Non-coking coal represents a substantial majority of the raw coal production, and represented 93.1%, 93.4% and 91.6% of our total coal production in fiscal 2008, 2009 and 2010, respectively. Most of our coal production is from open cast mines. CIL/ its subsidiaries, currently, implementing 45 projects, comprising 22-capacity expansion projects for existing mines and 23 new mine projects. The company produced 431.26 million tons of coal in fiscal 2010. This is approximately 81% of the coal produced in the country. 63,16,36,440 equity shares of Rs 10 each. Divestment. The Company will not receive any proceeds from the issue. CITI GROUP, DEUTSCHE BANK, B of A Merrill Lynch, ENAM, KOTAK, MORGAN STANLEY. The largest coal producer and one of the largest reserve holders of coal in the world. Well positioned to capitalize on the high demand for coal in India. Track record of growth and cost efficient operations. Strong capabilities for exploration, mine planning, research and development. Capitalize on the significant demand-supply gap for coal in India. Well positioned to acquire strategic international resources or mining rights and identify joint development opportunities. As of April 2009, the geological resource of Indian coal was 276.81 billion tons (Source: GSI, GoI). In India, coal is the prime fuel used to fire thermal power plants due to its availability and affordability. Coal is the dominant source of energy and met 52.4%, while oil and natural gas met approximately 41.6%, of the total primary energy requirement of India in fiscal 2009 (Source: BP Statistics). As projected by the Planning Commission of the GoI in the Integrated Energy Policy, 2006, coal is projected to meet over 50.0% of the primary commercial energy requirement by fiscal 2032. The coal sector in India is primarily dominated by the PSUs under the central and the state governments, as more than 90.0% of the coal produced in India in fiscal 2009 was by government owned companies (Source: CRISIL Coal Outlook). As of April 1, 2010, CIL had total coal resources of 64,786 million tons, comprising, Proved Geological Reserves of 52,546 million tons, Indicated Geological Reserves of 10,298 million tons and Inferred Geological Reserves of 1,942 million tons. From the total coal resources of 64,786 million tons, 30,356 million tons had been considered for mining studies (mine planning and feasibility studies), and the remaining coal resources of 34,430 million tons had not yet been considered for such mining studies. Of the 30,356 million tons of coal resources that had been considered for mining studies, 21,754 million tons has been estimated as the Extractable Reserves. landed cost of imported coal. In India, coal price is highly competitive at all destinations of the country and rise in price position after deregulation has been less than inflation. · Bharat coking coal limited. · North Eastern Coalfields Limited. In the price band Rs 225 – 245, the Company demands a valuation of 14x on its estimated EPS of FY 11. INVEST. Retail investors are eligible for 5% discount on the issue price. CIL’s vision is to emerge from the position of domestic leader to leading global player in the energy sector by adopting best practices from mine to market with due care to environmental and social sustenance. INVEST. TWENTY-FIVE REASONS WHY ONE SHOULD NOT INVEST IN MICRO FINANCE COMPANIES. 1. Micro financing started as a social cause enterprise is turning out to be blood-sucking business of the poorest of the poor and hapless sections of the society. 2. There is no concern for the poor. The management is very much concerned about their chair, salary, benefits, ESOPs and wealth creation for themselves. The recent rumblings in SKS, which removed its managing director in an unprofessional manner, speak volumes about its corporate governance. 3. Seventeen borrowers of SKS micro finance committed suicide in Sept 2010, in Andhra Pradesh. 4. MFIs have come into existence as a financial intermediary for the poor; they have actually led to further impoverishment by adopting unethical practices, resorting to multiple lending without due diligence, usurious interest rates and coercive methods of recovery, as per the survey by A P government. 5. The RBI governor has suggested the state governments were the best agencies to regulate the coercive interest rates. This will happen soon. 6. According to the new regulation, the MFIs in A P must register themselves with district rural development authorities, indicate their areas of operation, employees, number of members and credit status. It also asked MFIs to display the interest rates, among other things. Dubious methods followed earlier wont work any more. 7. The proposed ordinance is likely to insist on MFIs being registered with district rural development agencies, apart from imposing a three-year imprisonment and/or Rs 1, 00,000 fines on erring MFIs. 8. The A P government is working out a policy to put a ceiling on interest rates charged by MFIs. 9. Unsustainable business model: The business model will not sustain in the end. 10. No commitment from the promoters: SKS’s founder and chairman sold his shares to Tree Line Asia Master Fund (Singapore) Pte for $12.9 million in Feb. this year. Suresh Gurumani (now sacked) - Managing Director of the Company. The total monthly salary is Rs. 12, 50,000. In addition to the above, Mr. Suresh Gurumani was paid onetime bonus of Rs. 10,000,000, in April 2009. Dr. Vikram Akula - chairman Rs 70.00 lacs p.a. In addition, ESOP amounting to Rs10.97lacs, totaling Rs 1.79cr p.a. These people are trying to eradicate poverty. LOOK AT THEIR MIND SET. 12. Mohd. Yunus says (The father of micro finance) - “I get very worried when investment funds come to micro finance,” said the founder of Bangladesh’s Grameen Bank, which pioneered the industry by giving small loans to rural women to start their own businesses. “I don’t want to excite businessmen that there is profit to be made here,” And the promoters in India says the business is exiting (exploitation of the poor). 13. The IPO of SKS micro has already made the promoters and other venture capitalists including some P/E funds that have stakes in these companies’ millionaires. The hapless borrowers continue to live in abject poverty and are committing suicide. 14. Government /RBI will not be mute spectators to the exploitation. They are bound to regulate the segment further. This will make the business un- attractive. 15. Financial inclusion initiatives taken by the public sector banks will marginalize the micro finance business. 17. RBI has constituted a sub committee to look into the functioning of MFI sector. Basing on the recommendations of the committee further stringent measures is expected. 18. Most of the favorable research report on MFIs is paid research report. DO NOT BELIEVE THEM BLINDLY. 19. The A P government is examining loan swap of MFIs with other banks, thus giving no room for scale up of operations by MFIs. 20. Look at this irony – the wealthiest and the richest industrialists/business men in the country have access to the cheapest credit, around 8% p.a. from Banks and Financial institutions. Where as the poor, the down trodden and the and other unfortunate sections of the society pays the highest interest, anywhere between 30%-40%p.a. when they borrow from the Micro Financial Institutions (MFI). This cannot go on for very long. 21. The multiple lending (the same borrower taking loans from several MFIs), is very rampant, and this bubble will burst one day. Servicing multiple loans every week is not easy, particularly when they are disbursed under group guarantee, creating peer pressure not to default. 22. The poor are vulnerable to emergencies like flood, drought, illness and marriage. So the claim of near 100% recovery by MFIs are either farce or the figures are fabricated. 23. Private equity and the global financial crisis have brought in senior managers from the financial world at what is considered exorbitant salaries to the world of micro finance. This is temporary phenomena. 24. Thus, there is a danger of micro finance not only being unable to remove poverty but end up as debt enlarging institutions. 25. MFIs clarification that their rate of interest is lower than the rate charged by the local moneylenders holds no water. The truth is, in the name of helping poor, the poor is being exploited by these MFIs. LISTING NEWS : CEBBCO TO LIST ON 18-10-10. LISTING NEWS : VATECH TO LIST ON 13-10-10. MICROSEC TO LIST ON 05-10-10. IPO NEWS : Muthoot Finance plans 800 cr IPO.